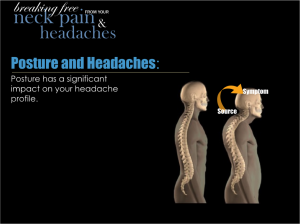 In this informative talk, we want to provide you with the information to make better decisions to manage your neck pain and headaches, so that you can avoid these in the future or have an effective solution to keep your problem under control. 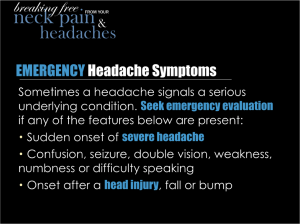 Many solutions to neck pain & headaches involve analgesics (or painkillers), a stronger painkiller is often used if a weaker one does not work. 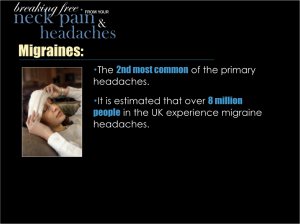 However, this merely patches up the problem and does not address and resolve the root cause of neck pain and headaches. Please click on the images below to see sample slides from the talk. 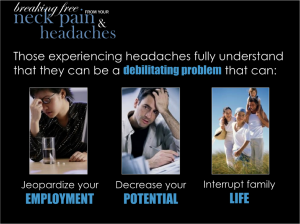 Our aim is to explain and simplify the causes of neck pain & headaches and find a solution to your problem.